Inday Sara, ikinaTUWA ang PAGKATALO ni Mariel De Leon sa Miss International 2017! 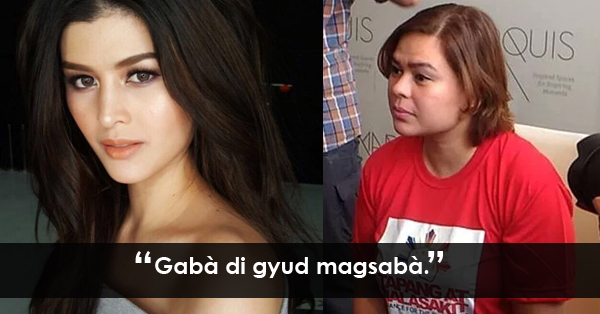 Davao City Mayor Inday Sara Duterte shared in her post that the loss of Mariel De Leon in the Miss International 2017 competition is a ‘schadenfreude’ moment for her. She also shared an old photo of Mariel De Leon. Inday Sara said that she had a personal experience with the Filipina beauty queen, but she refused to reveal the story to her followers because she’s already tired to narrate. “Meron ako personal experience sa kanya, but I’m too tired to make kwento.” Inday Sara said. ”I believe pageant judges see through the physical beauty and examine the heart.” she added. “Para bang Ms. Venezuela sa Ms. Universe 2016.” she said. On 2016, Ms. Venezuela became infamous after some rumoured spread that she showed a ‘diva personality’ during the Miss Universe competition held in the Philippines. According to the reports, she allegedly blamed for stepping other candidate’s dress without saying sorry and also seen roling her eyes to several candidates. Many were shocked that Habach didn’t landed to the top 13 of the Miss Universe 2016, despite of being one of the strong candidates of the beauty competition experts. They believed that the ‘attitude’ of Miss Venezuela 2016 became the reason why she loss. 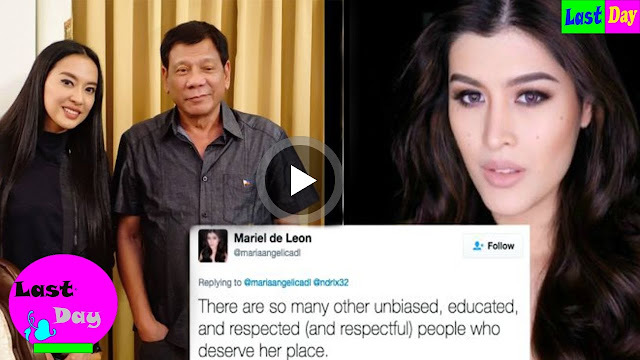 Is Mariel De Leon showed ‘diva attitude’ to the Davao City Mayor when they met? While Habach became infamous because of her personality issues, Mariel De Leon faced criticisms after she expressed her disappointment to the appointment of Mocha Uson as Assistant Secretary of the Presidential Communications Operations Office (PCOO). “I love my country. It breaks my heart to know that the Philippines has come to this. I’m proud to wear the sash that says “Philippines” but..” Mariel De Leon said in her tweet last May. Because of Mariel De Leon’s criticisms against the government, she received hate comments from some netizens and even pray for her loss in the Miss International competition that held in Tokyo, Japan. On Tuesday, Mariel De Leon quickly ended her Miss International journey after she failed to enter top 15 of the competition.